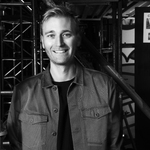 James is an accomplished director/producer specializing in live events and multicam television production; he has worked with the world’s most innovative directors and production teams to produce a diverse catalogue of projects that span the globe. From the Super Bowl Half Time shows featuring Katy Perry, Coldplay, Bruno Mars and Beyonce, to the Academy Awards, the MTV Video Music Awards and more recently the U2: Innocence + Experience Tour in Paris and the Beyonce Formation World Tour. James has been at the forefront of dynamic and memorable entertainment experiences. Learning first hand from Hamish Hamilton, the most sought after Director on the planet.